Williams Automotive Supporting The National Breast Cancer Foundation. I want to say a huge thank you to all of our customers for choosing us as their preferred mechanic. By getting your car serviced or repaired by us you are helping too! 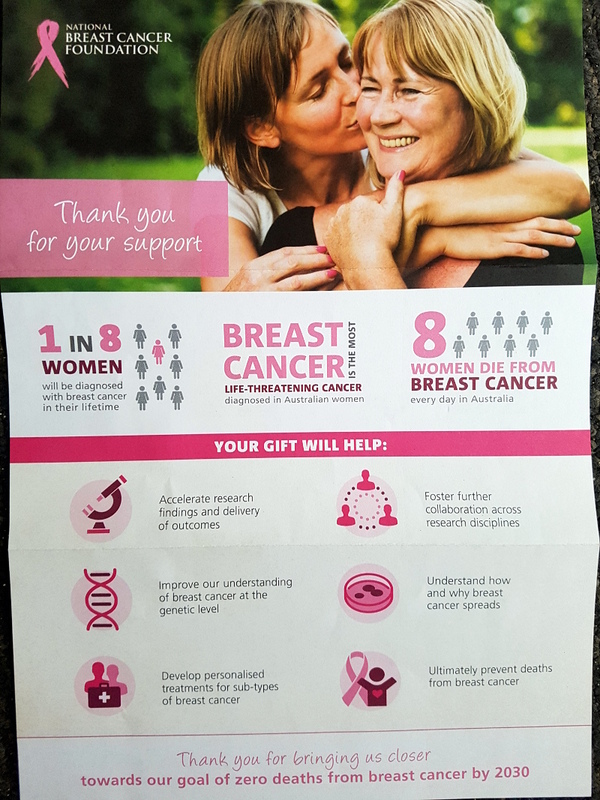 We donate a percentage of our earnings to the National Breast Cancer Foundation. This year we have managed to raise over $1500 to fund research and help those affected.